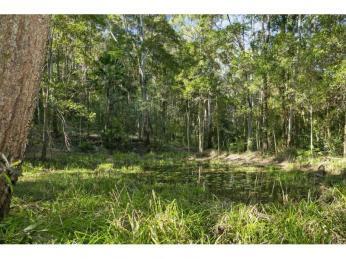 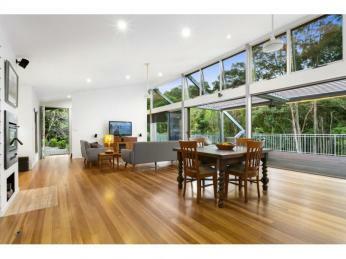 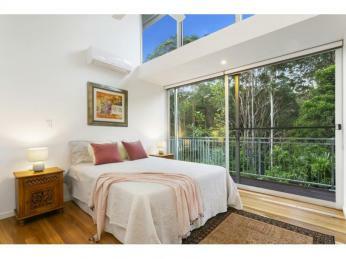 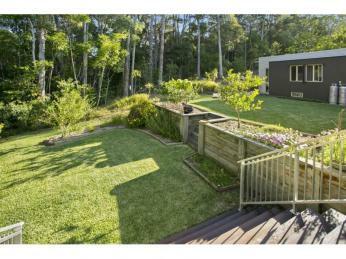 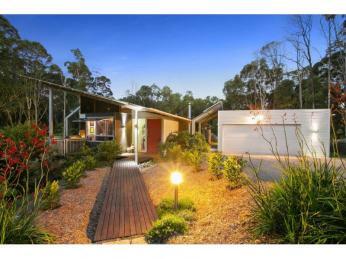 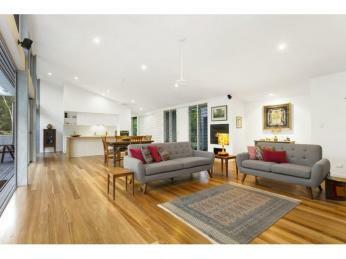 Newly landscaped, fresh outlook, well worth inspection. 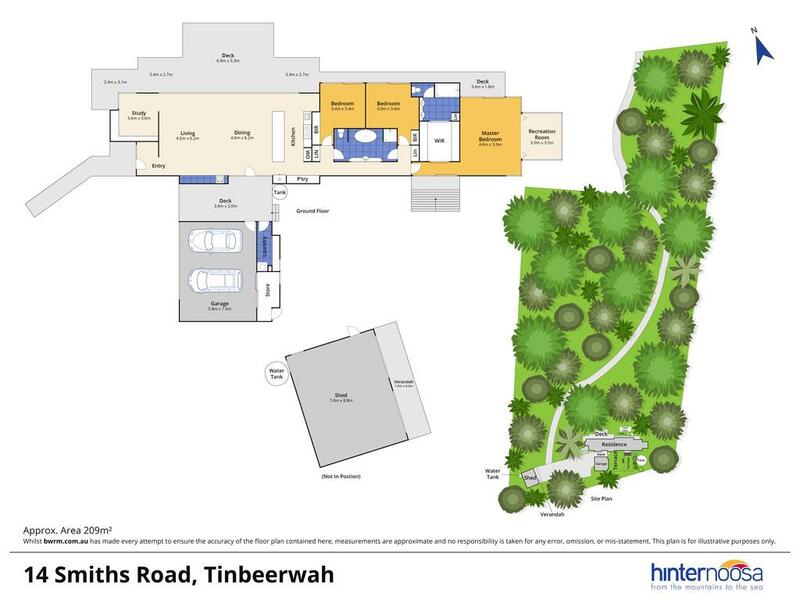 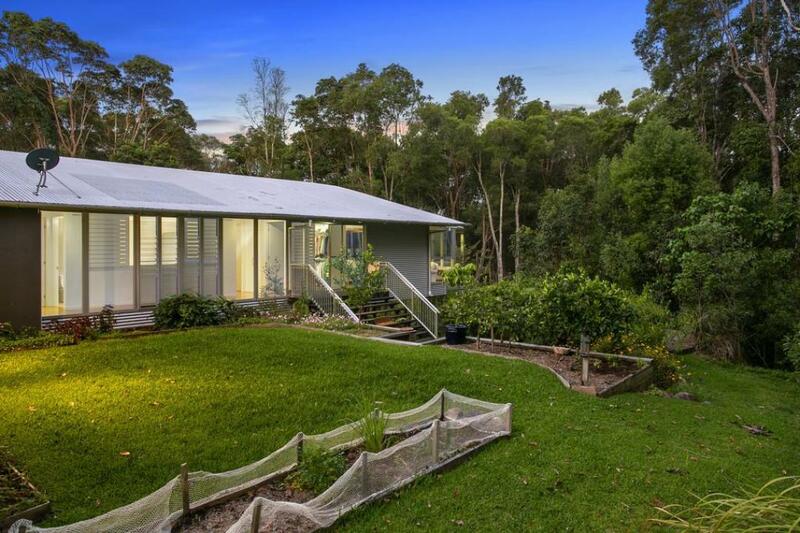 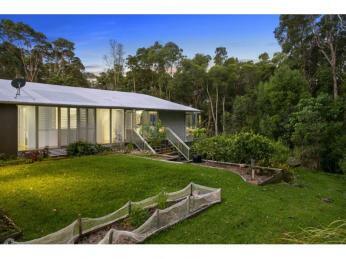 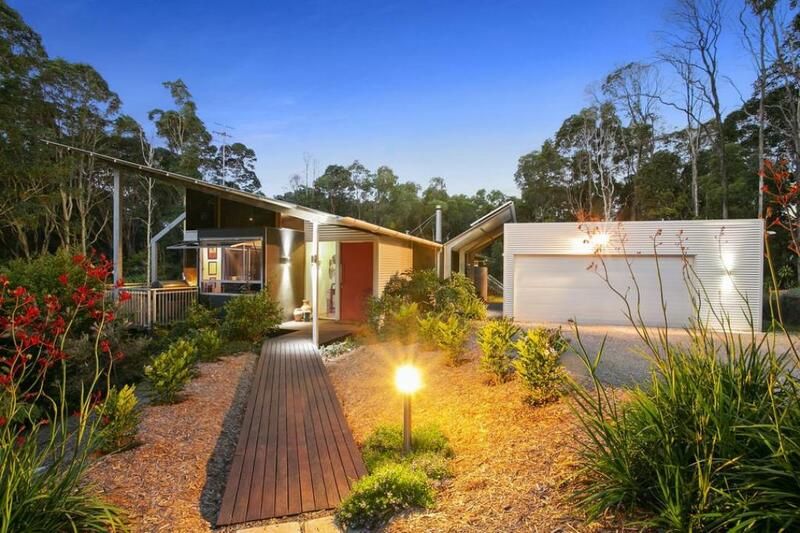 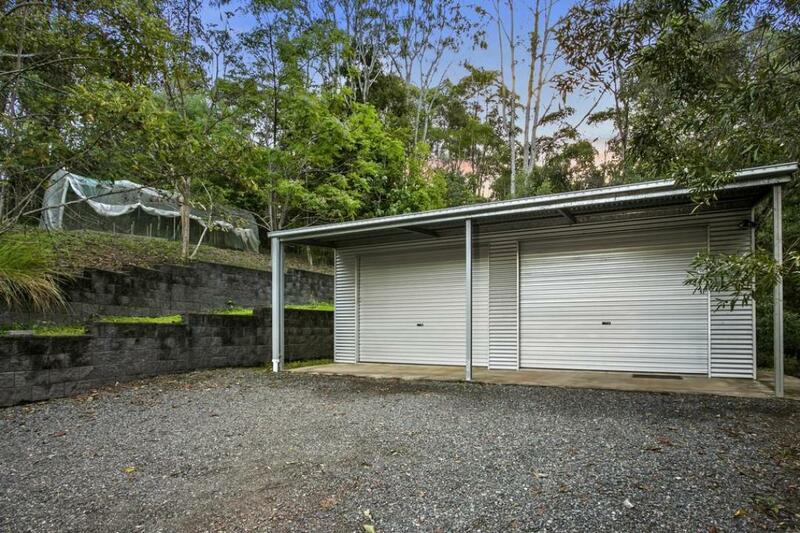 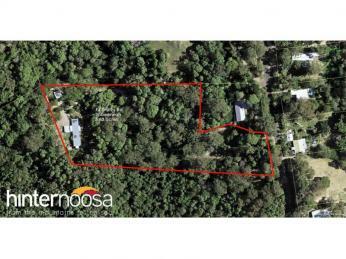 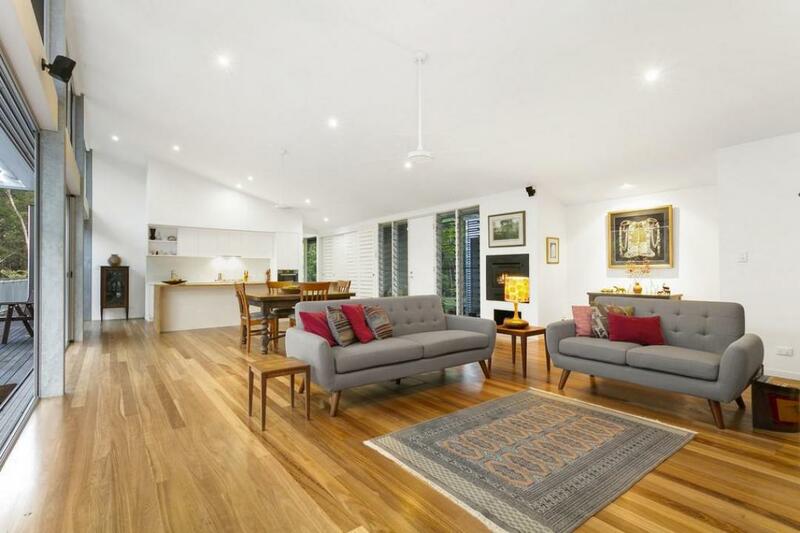 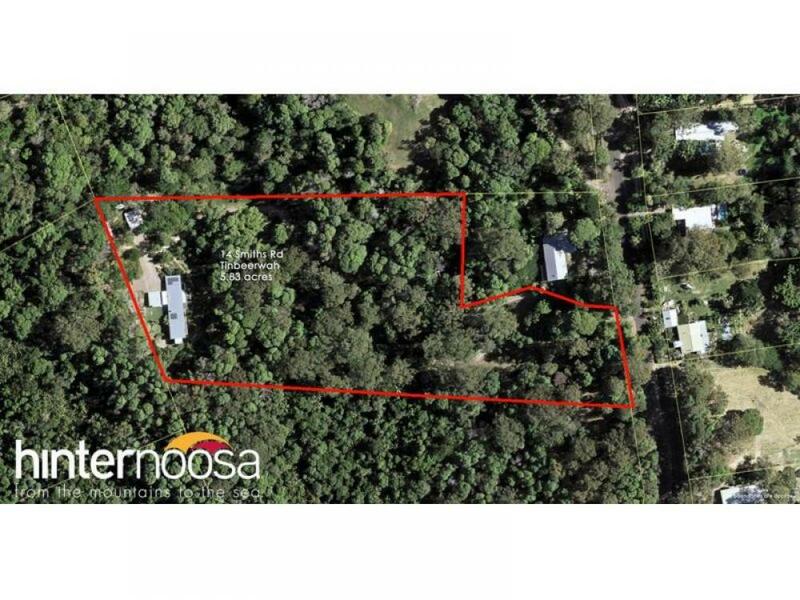 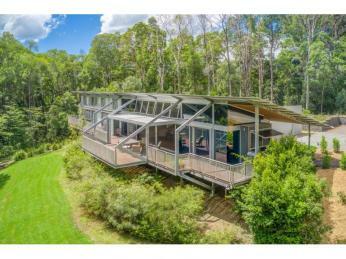 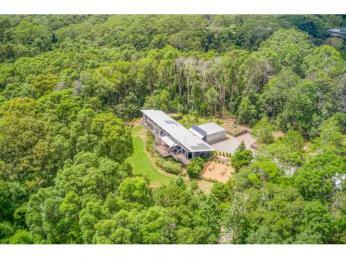 Long, clean lines, understated elegance and absolute privacy await you at the end of a concrete driveway that undulates through lush rainforest and eucalypt forest. 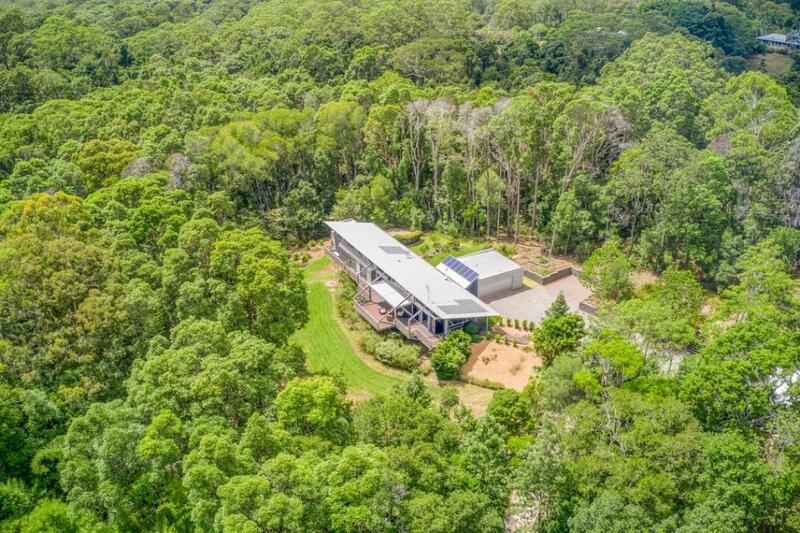 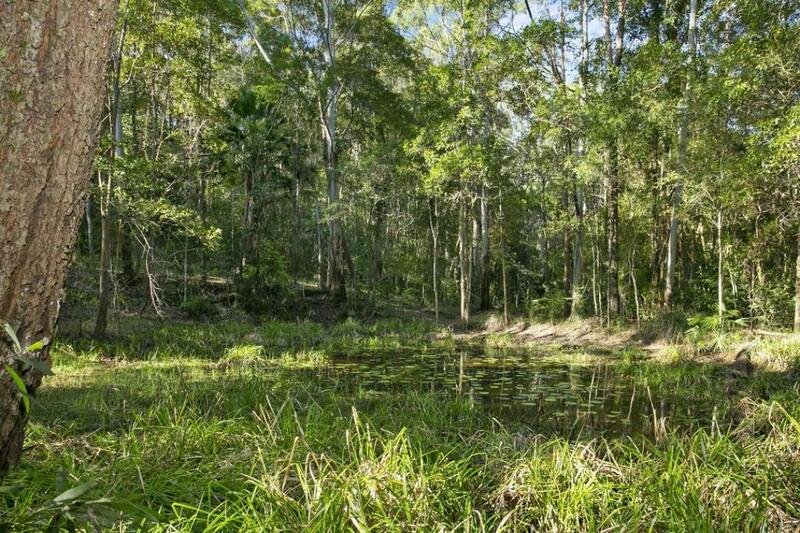 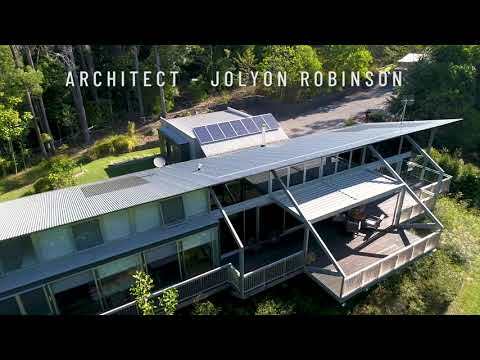 Designed in 2012 by local architect Jolyon Robinson, the single-level home sits gently into the contour of the land, blending beautifully with the surrounding bush. 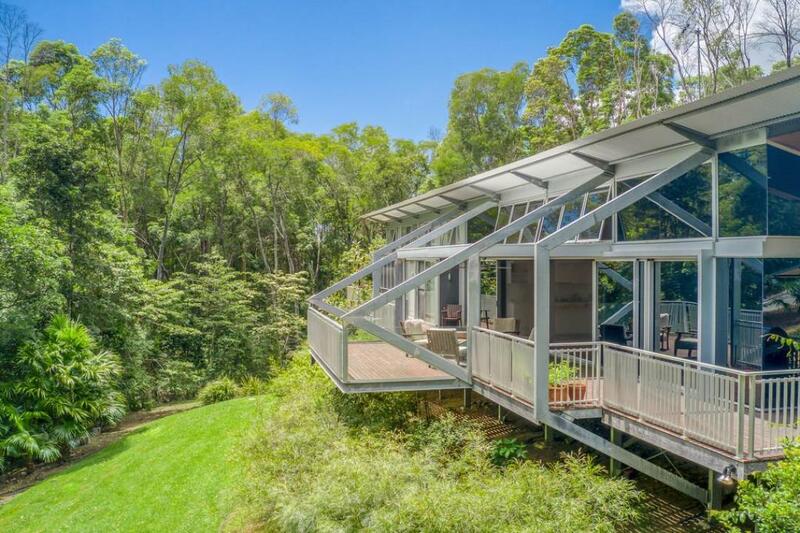 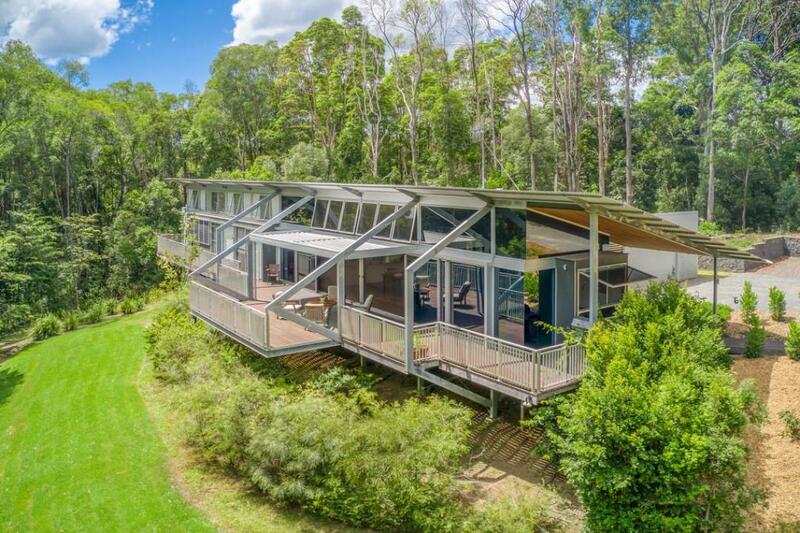 With the perfect northerly aspect, walls of glass, and windows that stretch right up to the skillion roof, the entire length of the home is flooded with natural light. 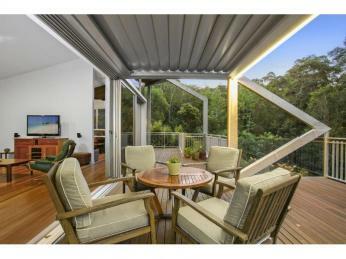 On languid summer days, the huge screened stacking doors and banks of glass louvres draw in even the faintest breeze. 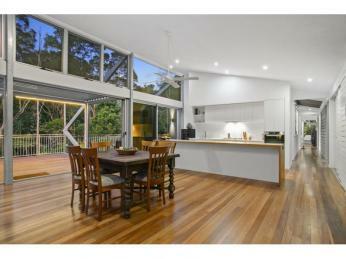 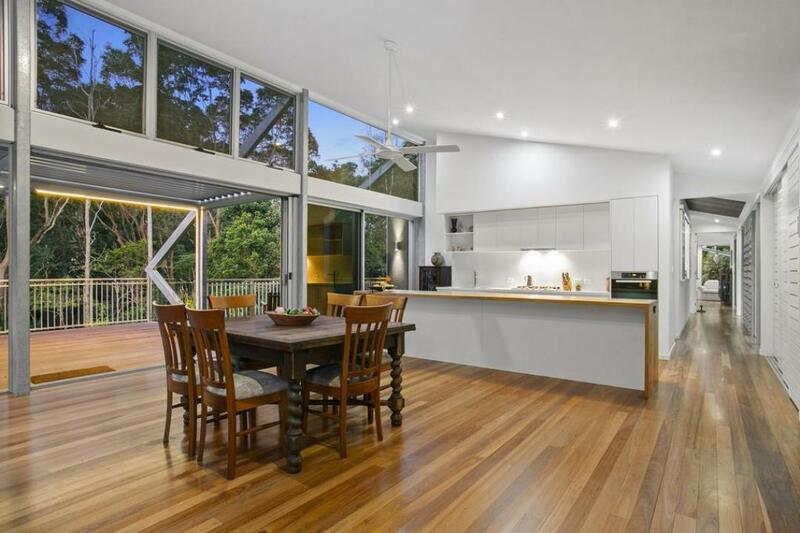 Traditional elements such as the tin roof and the long, timber verandah meld perfectly with the modern, minimalist interior where native timbers are a feature. 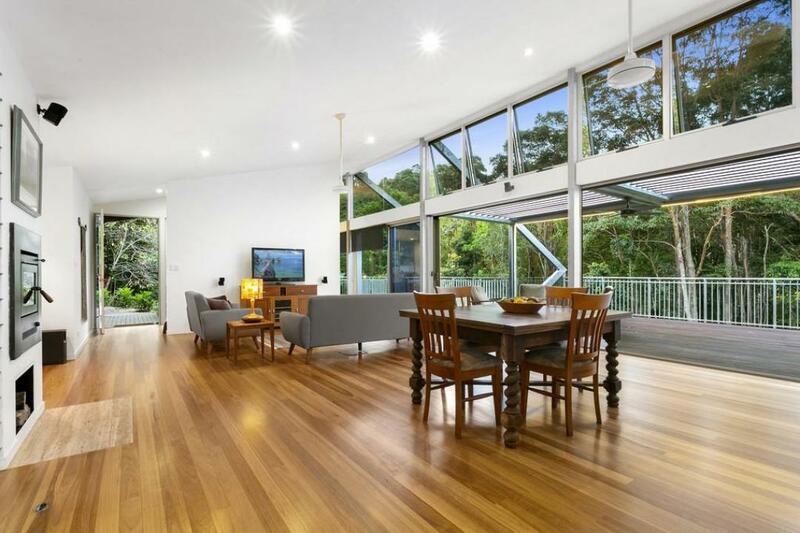 The warm blackbutt timber floors of the open-plan lounge-dining zone extend throughout the house, while the handcrafted silky oak topped kitchen island, complete with dovetailing and almost 4m long, will stop you in your tracks. 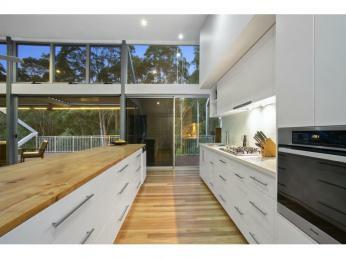 The same clean lines are echoed in the 2-pac kitchen cabinetry, Caesarstone benchtop and glass splashback. 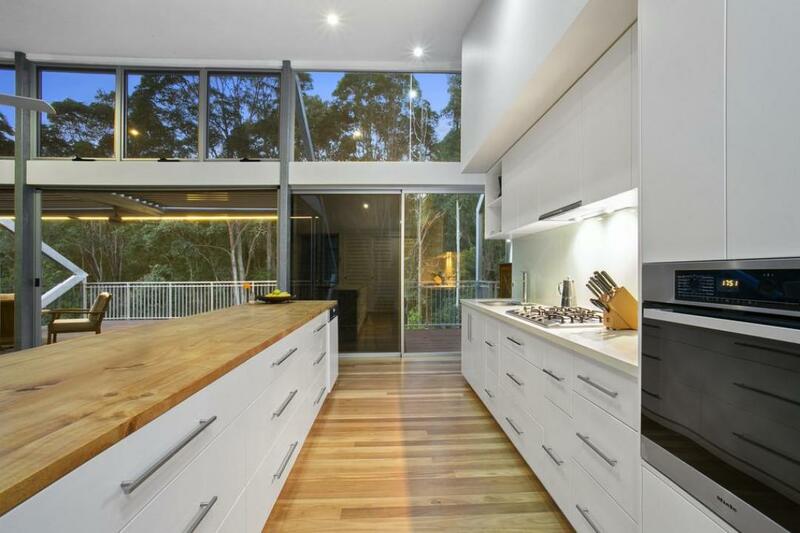 The fridge and butler's pantry hide discreetly behind sliding doors. 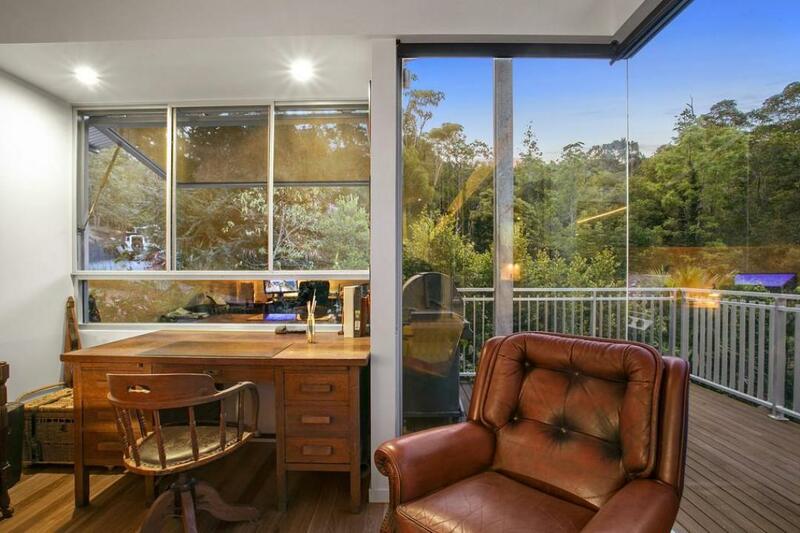 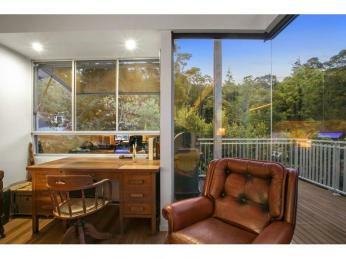 A lovely light filled study is tucked behind the lounge room, not far from the built-in wood-burning stove. 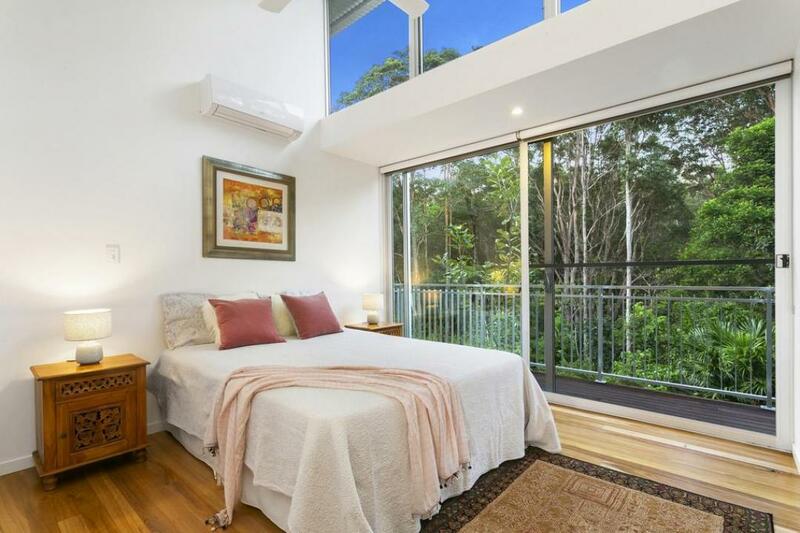 The feeling of calm ripples through to the two guest bedrooms, both bright and spacious with high ceilings and built-in robes. 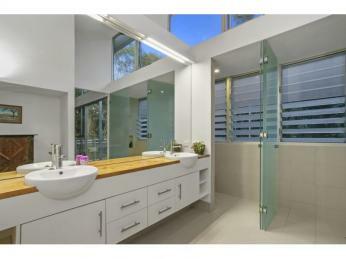 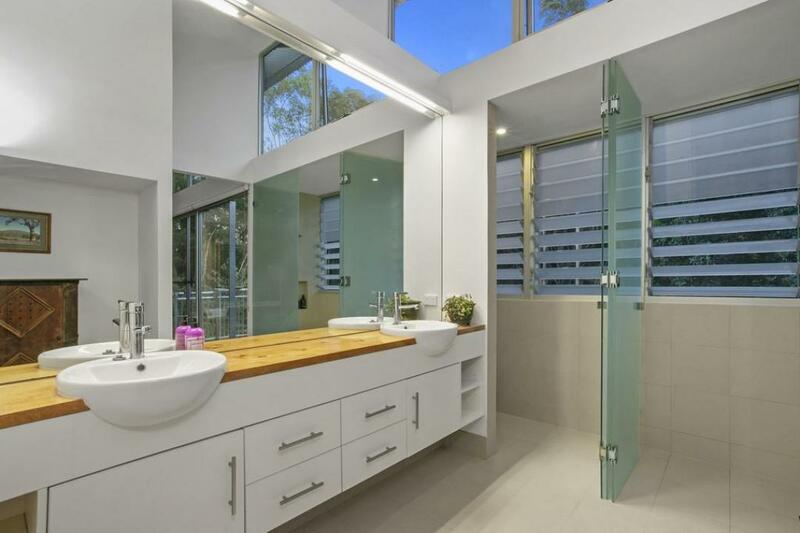 The main bathroom which separates them features a freestanding bath, glass shower and silky-oak benchtop. 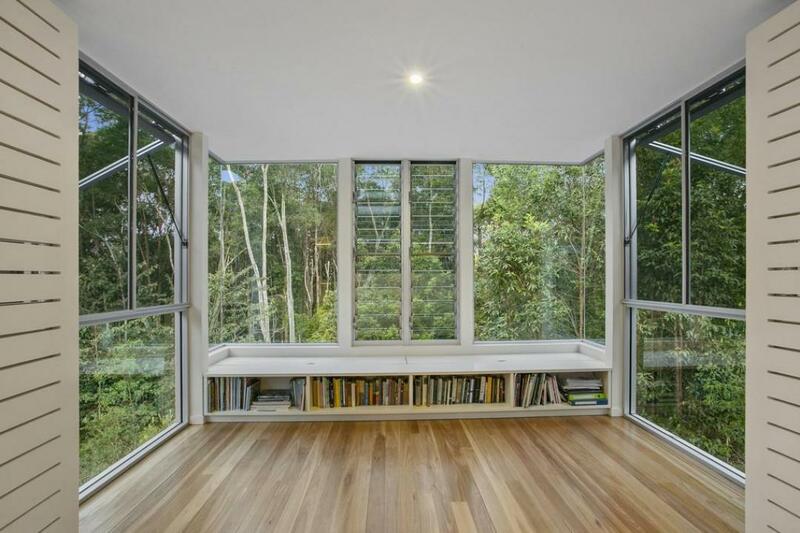 Natural light from above is diffused by timber slats, and a delightful pair of large sliding shutters can be thrown open to the rear garden. 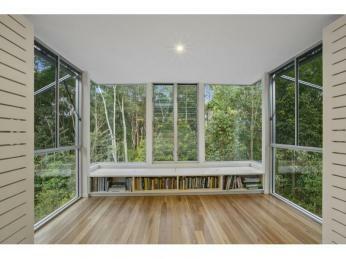 At the far end of the house, ensuring acoustic privacy, lies the enormous master retreat. 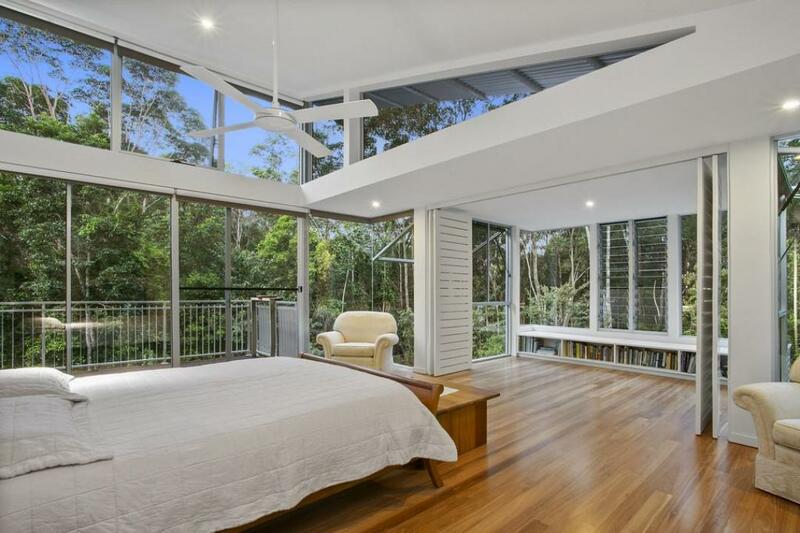 The bedroom, with glass on three sides, including gas-strut hopper windows, juts out into the rainforest canopy, offering a peaceful space for stretching the body or the mind. 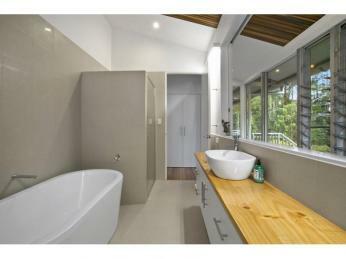 The generous ensuite is very pleasing, with double sink, glass shower and separate toilet. 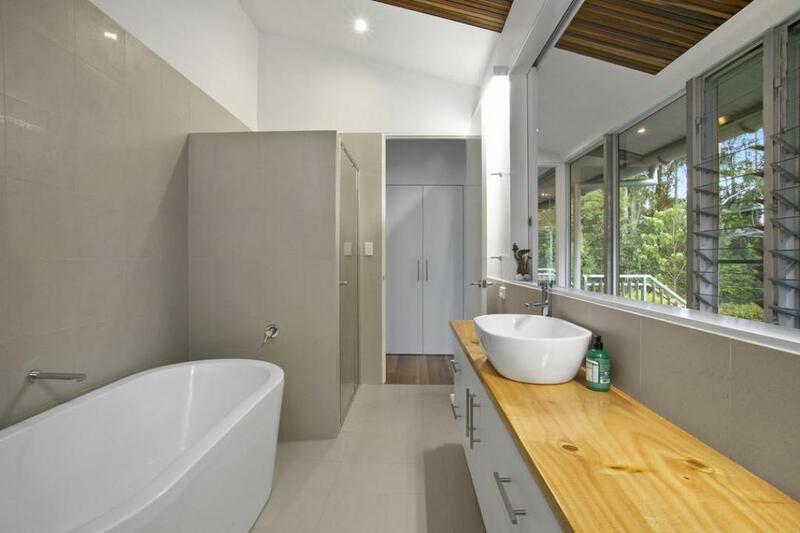 A large walk-in robe offers plenty of storage. 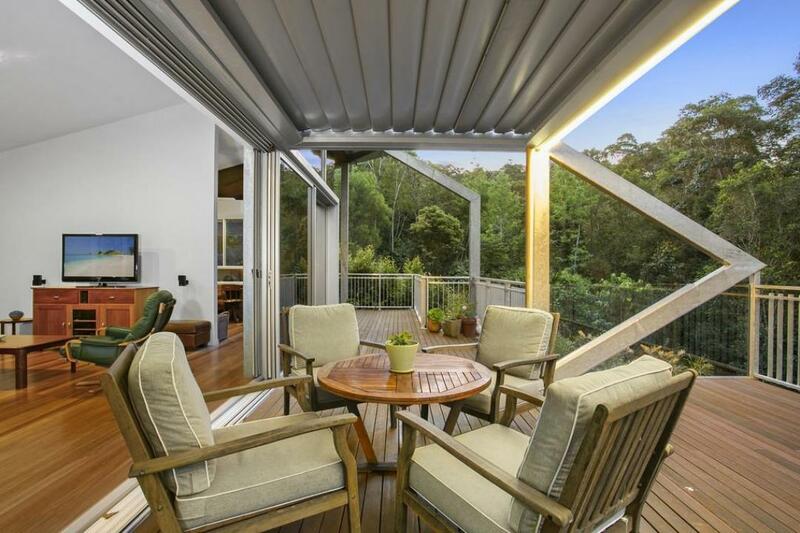 At the front of the house, the big, beautiful deck can be used for entertaining in all weathers with its rain-sensitive vergola. 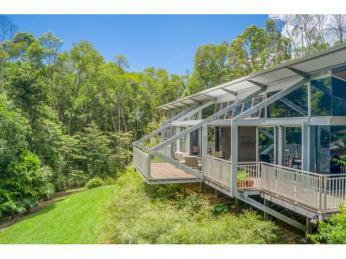 At the rear, a covered breezeway offers separation from the laundry and the 2-car garage, without exposing you to the elements. 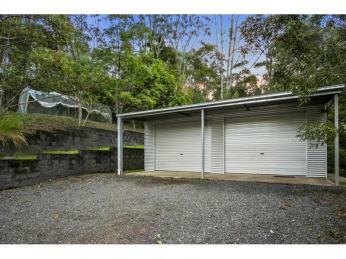 A separate 2-bay shed with covered apron has room for a boat and other toys. 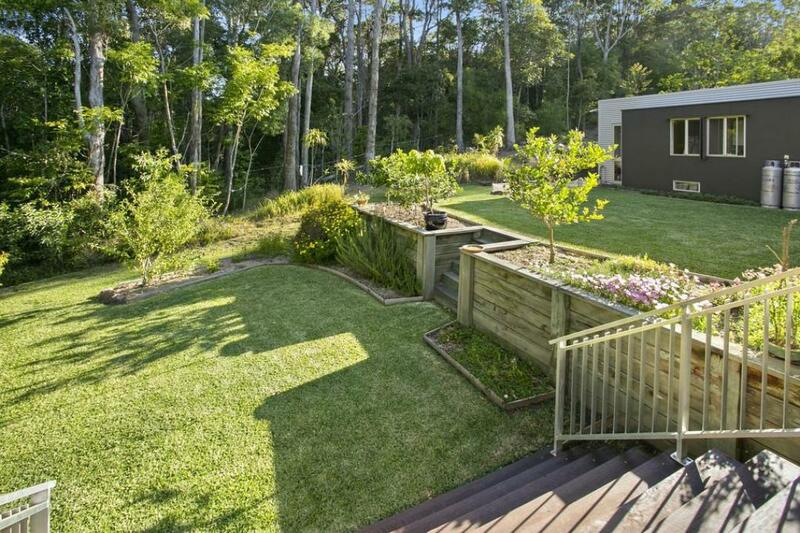 The landscaped gardens are planted with easy-care native species and the vegetable beds are ready for sowing. 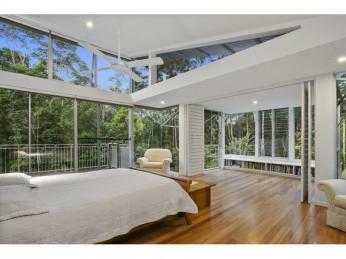 If you crave privacy, love nature and appreciate simple, clean architectural lines, venture on down to Smiths Road.